Unlike those wars of the past, today’s conflicts give global citizens unprecedented access to the front lines. A student in Oklahoma can track what occurs by the hour in the civil struggles of South Sudan. Is this new level of access useful, dangerous, both – or perhaps just plain confusing? For someone who didn’t make the jump from a dumb phone to a smartphone until 2013, the technology is still new to me. I am a firm believer in their utility, most importantly for the fact that many, at least in my generation, no longer have the excuse of ‘not knowing.’ Of course, no one can be an expert on everything, but I find it heartening that everyone I converse with has at least passing knowledge of any of the day’s current events. Over half of all Americans now live with smartphone capabilities. In the 18-29 demographic, that number stands at around 80%. For those living, working, or otherwise operating abroad (of the U.S. that is), a fascinating innovation brought about by our global communications technology is the capabilities of other portions of the world have leapfrogged the conventional communication modalities (re: landlines, internet by phone cables, the need for massive infrastructure projects for phone communications). This technological leap has allowed local citizens to directly communicate with a global news consumer market, delivering social media messaging, images, and other information directly to those monitoring the situation halfway around the world. Evidence of such a radical change can be found in every one of today’s crises. In Syria, considered by many as the world’s first war waged in part via social media, we are seeing every single party use the platform to increase its visibility, spread its message, and communicate directly with international media, governance, and the general public. The innovative delivery of humanitarian aid, mainly by Syria’s regional partners like Turkey, Lebanon, and Jordan, has allowed even those displaced by the violence to remain connected to the outside world in circumstances where, in the past, refugees were fighting simply for subsistence. Now, when I say every party, that means all parties, including those considered by many to be either one of the many sources of the problem or at the very least, contributing to the impossibility of its resolution. As we can see, Syria’s jihadi fighters have effectively used social media to communication among themselves, and to affect the Syrian national discourse. Turn over to South Sudan, where local citizens have bucked past trends where the country has had to rely on the international community to document what atrocities have occurred. Instead, citizens take photographs of what has occurred in the destruction of property by the Riek Machar-led rebellion movement. Awareness of the humanitarian crisis that resulted from the political dispute between Salva Kiir Mayardit and Machar also skyrocketed, as every concerned party from the Government of South Sudan’s own twitter account to members of the government’s armed forces to local citizens calling out the situation as “spiralling.” Humanitarian organizations working on the ground in South Sudan and members of the UN system also participated in the messaging campaigns, documenting abuses, crisis points, and areas for need. 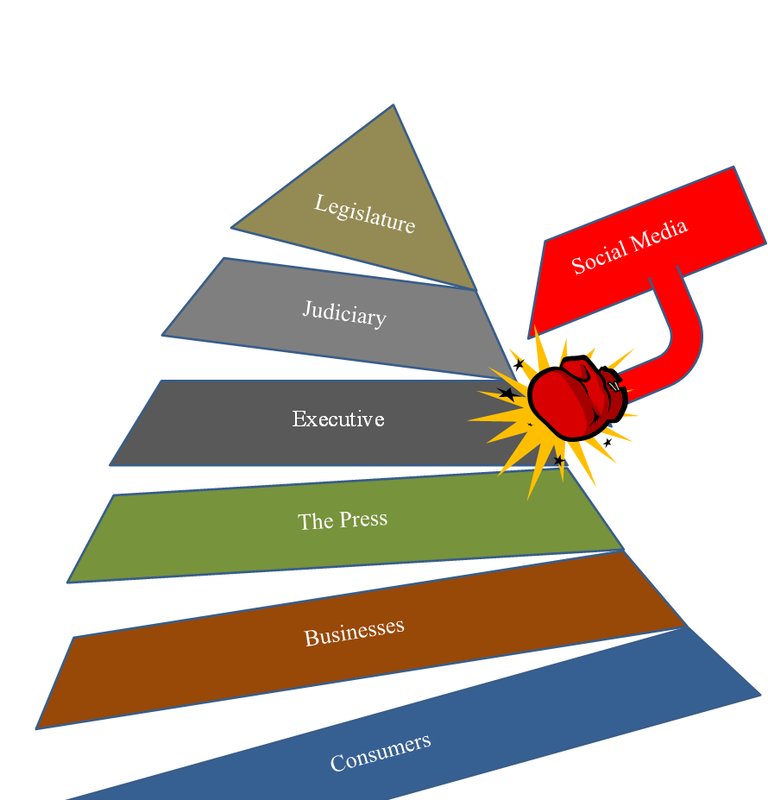 Similar trends are being seen in the Ukraine, Central African Republic, and Egypt, to name three among many others, where social media has become the new “constitutional conventions” for young educated leaders who have a thirst for involvement in the political sector can engage with like-minded individuals for social change. The old truism of ‘revolutions happen in French-style cafes’ has become nowadays that ‘revolutions happen in Facebook groups.’ It is certain that when you have a large youth bulge which is educated yet unemployed, with access to an ability to communicate with each other, you can be certain that some sort of political fomentation will likely ensue. This has the secondary effect of creating dialogue networks not necessarily available in previous conflicts. Egyptians in Tahrir Square were able to interact with students in the U.S., Europe, across the Arab Peninsula, the Levant, and North Africa. Internally, it was possible for citizens to organize ‘covertly,’ so as to circumvent the security apparati of the state to quickly mobilize a large populist movement. Governments must reconcile the ability to conventionally function as a state without the ability to reign ‘sovereign’ over the outlets for its citizens. Now, technology can be used for great positive ends. The elections in Kenya for the 2013 national races, the first after the 2007/08 post-election violence and the 2010 constitutional referendum, had an influx of technology platforms, from election monitoring through Umati’s online hate speech monitoring to the reporting mechanisms through the SMS peace messaging platform in Sisi ni Amani. We should be wary, though, of the proliferation of new media platforms without correctly understanding how they can be used for violence rather than peace. Indeed, in Kenya alone, the phones that were used to encourage a peace atmosphere in 2013 were similarly used to mobilize violence in 2007/08. This entry was posted in Uncategorized and tagged Civic Engagement, Conflict, Technology. Bookmark the permalink.